Located in Smarden, in the heart of the Kent countryside, Bonnets Hat Hire is proud to present a stunning collection of hats and headpieces for every occasion. Our collection showcases the very best of British and International design and creativity. Bonnets Hat Hire takes pride in providing an outstanding experience tailored for your special day in a warm and friendly atmosphere. Viewing is by appointment only, arranged at times to suit you, daytime, evenings or weekends (see contact page for details). We will advise and help you with the right choice of hat to go with your outfit, whatever the occasion. We offer a unique service to our clients, working only on a one-to-one basis, no other customers will be in the showroom, this enables us to give you our utmost attention and find the perfect hat to compliment your outfit for that special occasion. We carry a stock of approximately 1,000 hats, and add to our collection yearly. We are delighted that our hats have graced weddings both here in the UK and all around the globe, as well as Royal Ascot, Henley Regatta, Investitures, Buckingham Palace Garden Parties. Make an appointment, bring along your outfit and let us do the rest. 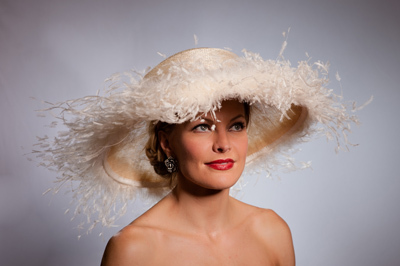 We look forward to seeing you here at Bonnets Hat Hire. 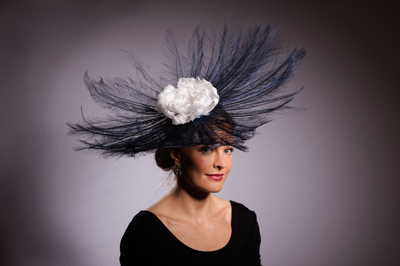 Please view our portfolio for a selection of our hats and headpieces available for hire.